Posted on May 26, 2014 by healthyhomeschoolfamily	• This entry was posted in Uncategorized and tagged Amazon, dumbbells, fitness, form, summer, summer activities, water skiing, weights, workout. Bookmark the permalink. This is a really nice plan and something that you could consider for someone who does not have free weights available would be hindu pushups. 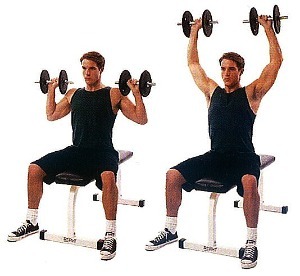 Those help with triceps, curls, and shoulders. Thank you so much Clifford for that suggestion! That is a great cross over to the next level. Happy to be helpful. Always remember to get half your body weight in ounces of water.